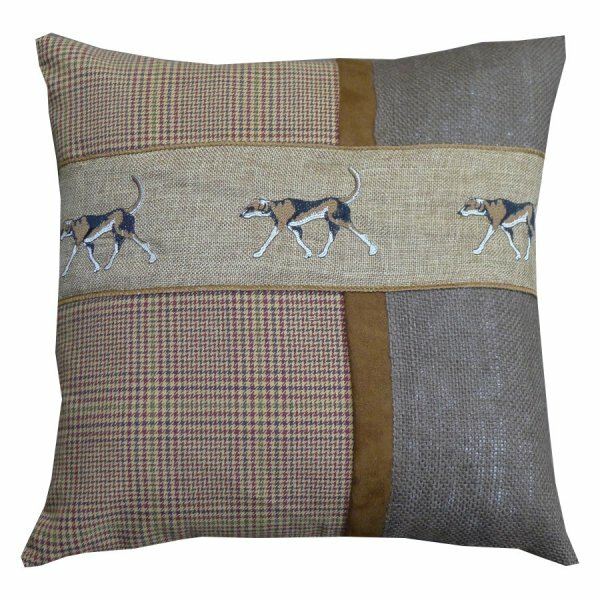 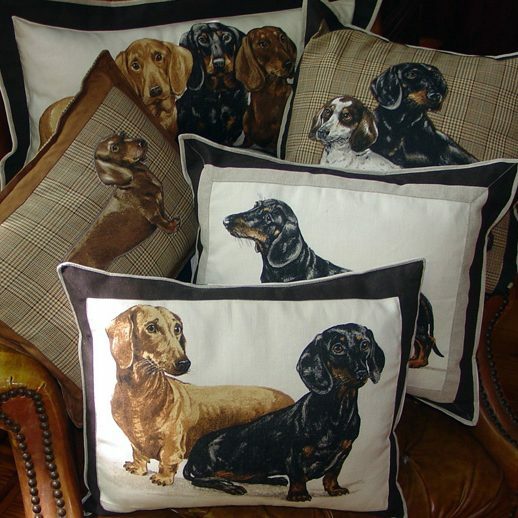 Suede/check pillow with embroidered dog ribbon, solid back. 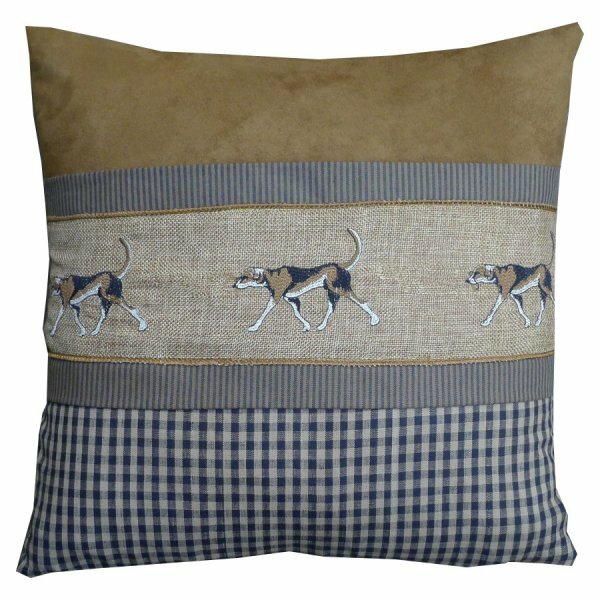 Burlap/suede/plaid pillow with embroidered dog ribbon, solid back. 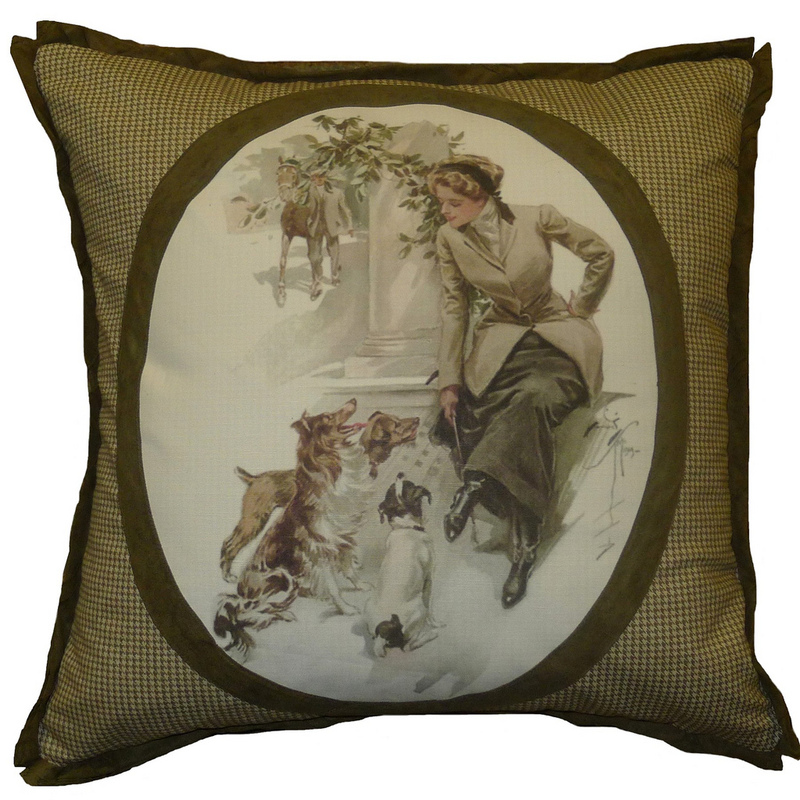 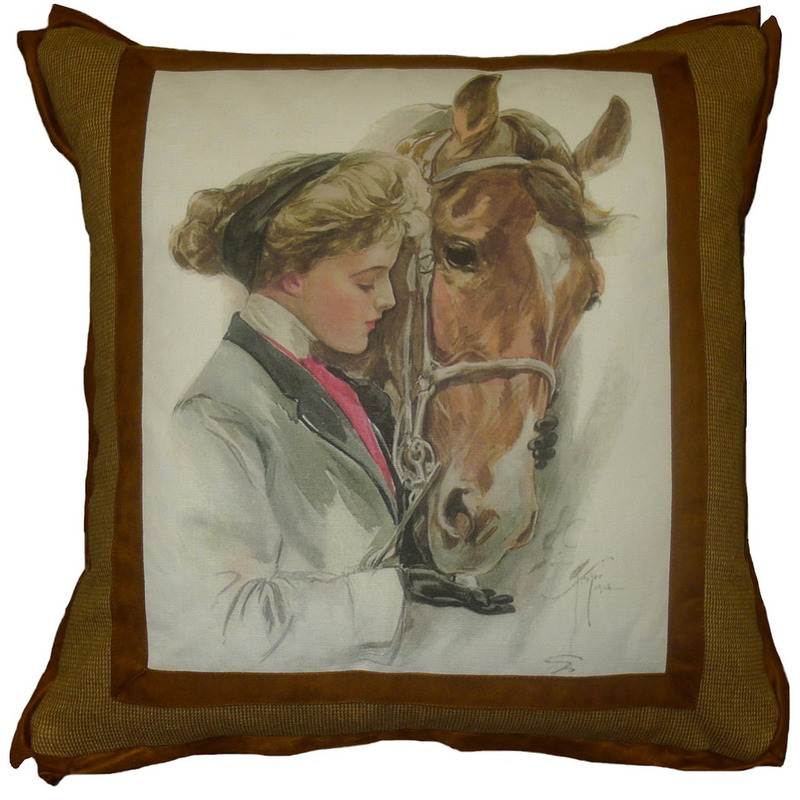 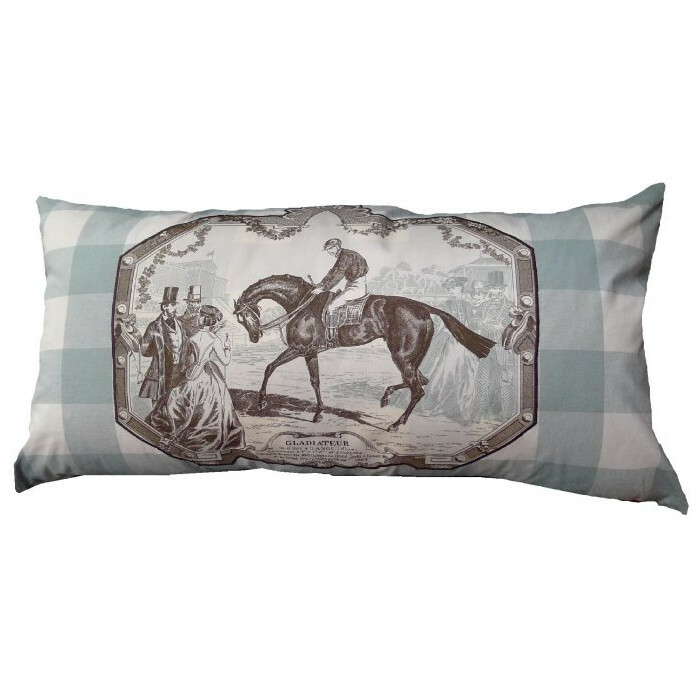 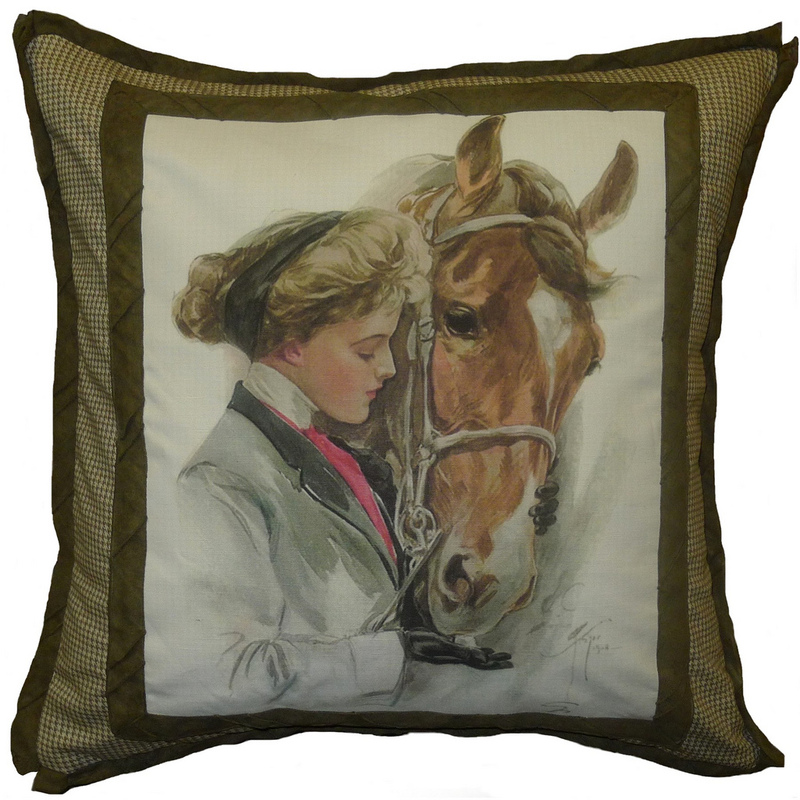 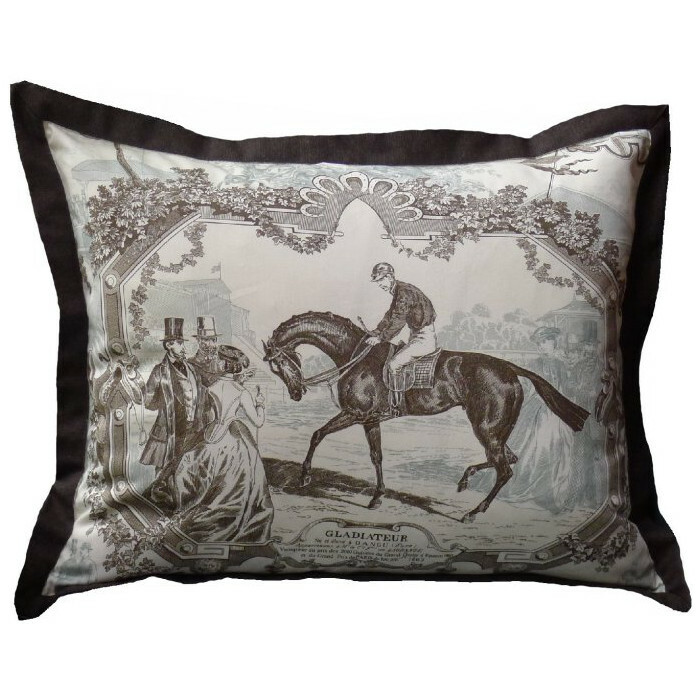 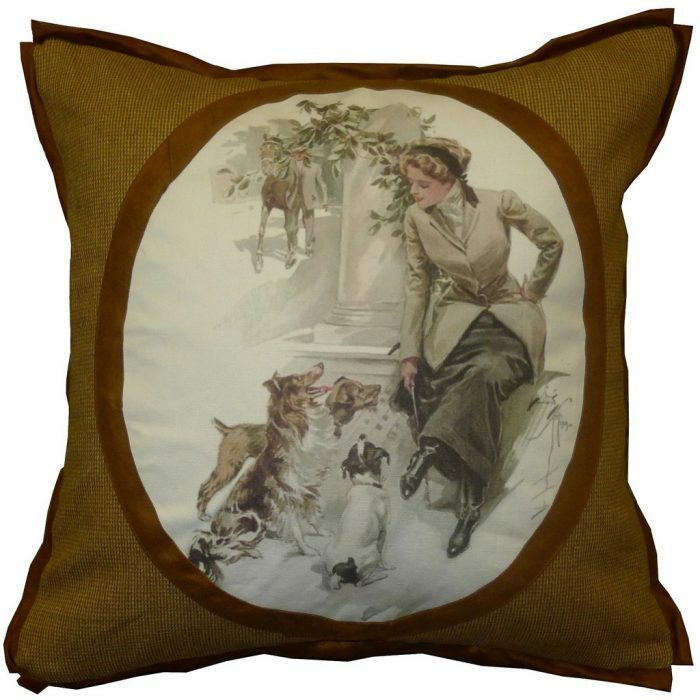 22×22 pillow of an Edwardian lady with a horse on small check with suede narrow flange and back. 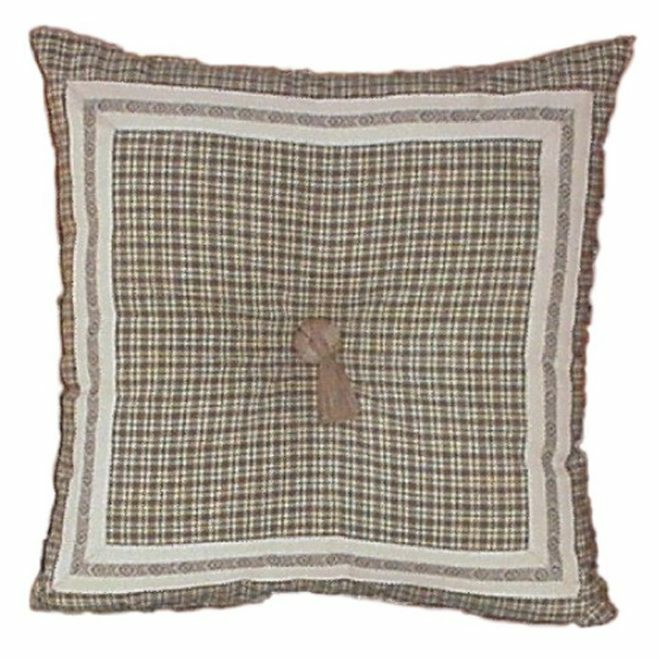 16×16 brown tattersall plaid with button and stripe trim. 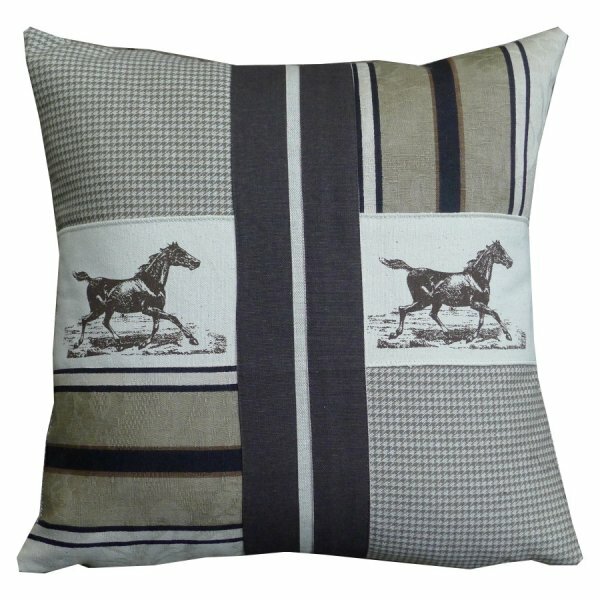 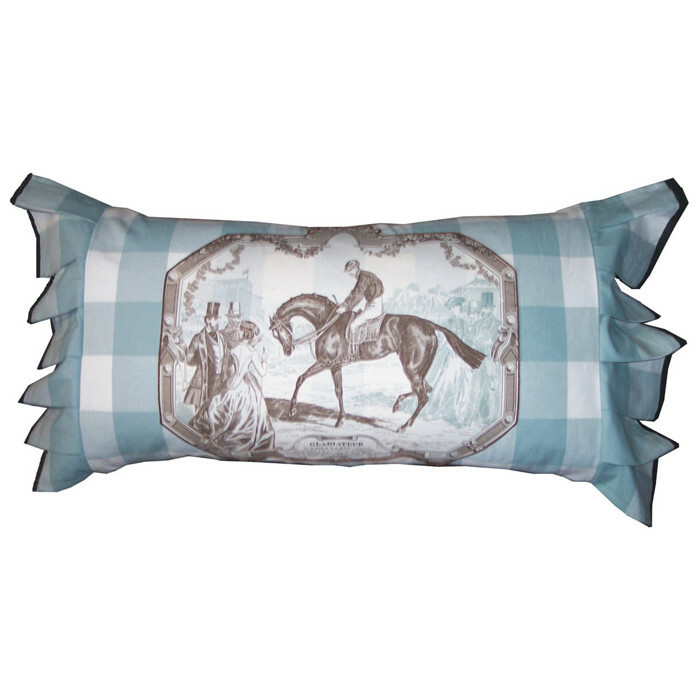 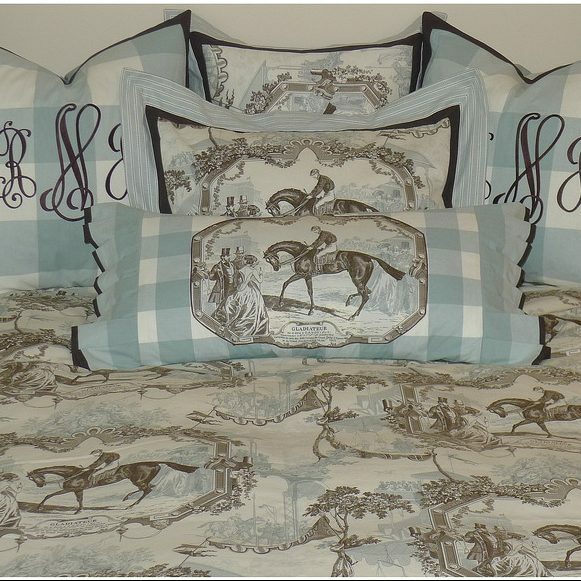 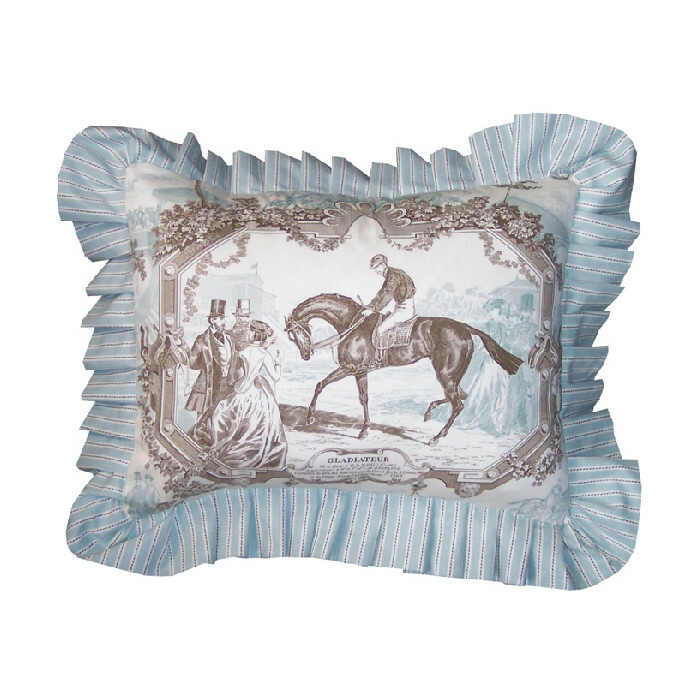 Check/stripe pillow with horse ribbon. 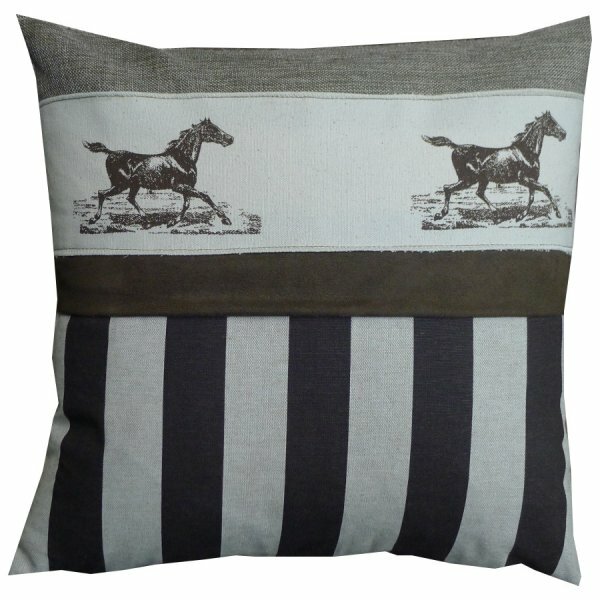 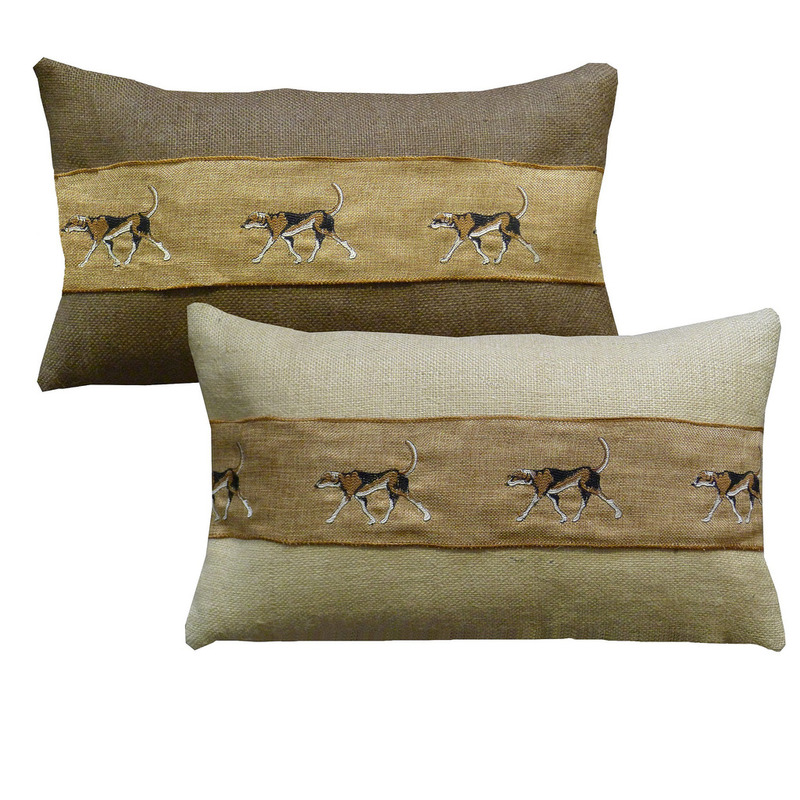 Suede/stripe pillow with horse ribbon.